Terry Myerson kicks off the keynote on day 2. The spirit of creativity lives in all of us. We experience our creativity by writing code. By something coming to life on the screen. We see this creativity at Build and all around the world. 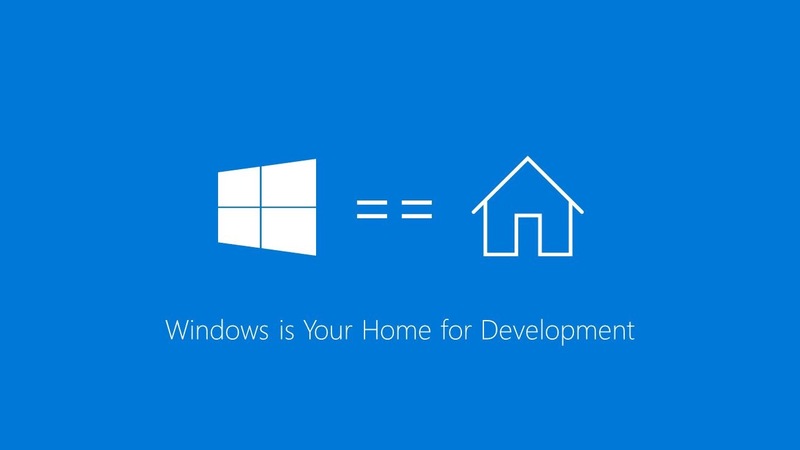 Windows at its foundation has been a place to unlock this creativity. Microsoft is making progress with Windows, recently with the Creator Update. Three big investment in Windows creativity: next major update, new capabilities in Windows Store and great tools. We bring all of this together to accelerate the next level of creativity, mixed reality. Announcing Windows 10 Fall Create Update. Built on .Net, Microsoft Graph, UWP, extended to iOS and Android thanks to Xamarin. A new way to transform your videos and photos. Bring it in Paint 3D. Capture with your phone. Enabling the creator in everyone. Paint 3D announced last year, further extend creativity with Story Remix, including a brand new video creator. A collaborative way to create stories that you love. Story Remix can recognize people and objects, thanks to Windows and deep learning. Included pen ink support to add notes, connect to object and note follows object in the video. Add text, motion like panning or zooming, add music with Groove. You can add mixed reality. Everyone has ideas to share and Microsoft wants to help you create it. Multiple users, multiple devices, inking, 3D and mixed reality. Joe Belfiore talks about how to solve today’s challenges of device input and to drive higher engagement for you apps. Big range of devices with many input possibilities like gestures, mouse, pen and so on. Diversity of experiences requires an expansion. 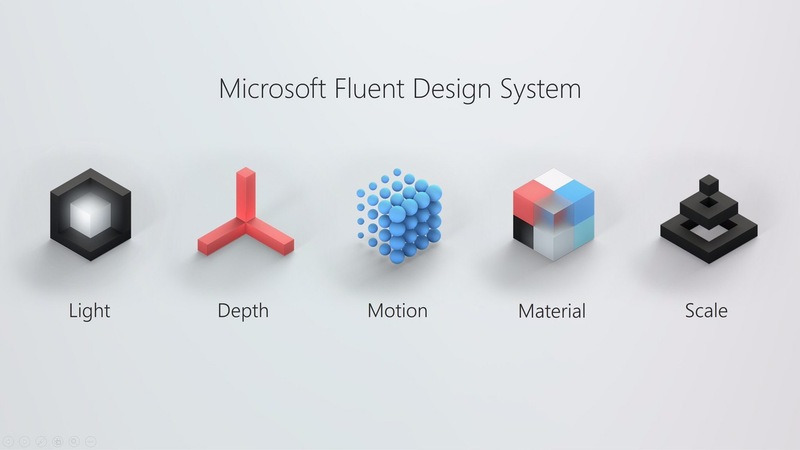 Introducing Microsoft Fluent Design System. One example of how the pen is evolving with the Fluent Design is the handwriting panel in Edge to write with a pen with a seamless and smooth experience. Windows + Microsoft Graph for cross device experiences. A more organized system where content and activity can seamlessly move across devices. This is possible with Windows and Graph. Windows PC will help you roam from device to device using Graph. It is figuring out intelligently which things should be on the hard drive. Considering collaboration at a business or personal files, pin documents to the drive and sync from the cloud. It’s implemented as part of the OS underneath the shell. The easiest way to get back to whatever you are working on. Start on one device and expand to multiple devices to pic up where it was left off. Provide Adaptive Card to Microsoft Graph to be stored and enable powerful things. With the power of AI make these activities run smoothly across devices. Timeline-aware Cortana serving content right back to where you were. Provide a powerful new way to move from device to device and resume what you are working on. How many time did you email a photo from your phone to your pc? The best way to move live data quickly from one device to the next is with the Clipboard that will become cloud-aware. This system will help all of us to bring more engagement to your apps. These feature will facilitate people and discover value across device. When users have great experience, it will generate love and engagement. With the Fall Update, Windows PC will love ALL of your devices. Building a stage for you apps powered by intelligence, connected across devices. How do you move your apps to the future? How do you evolve your apps to become more engaging? Windows 10, Visual Studio and Microsoft Graph will empower you to modernize your app. .Net will make it easier than ever to target more devices, more platforms and the cloud. Transition to a shared code base with .Net Standard. Take your .Net code wherever it needs to go. Separate code for each target. Share UI easily across platforms with XAML and Xamarin. Connecting Windows to Microsoft Graph for devices and activities, build deeply connected apps across platforms. Powered apps connected across all kinds of devices. Use Activity API to capture the user’s task on the source device and on the target device use activation to continue the user’s task. Consumer and commercial apps. Inside and outside of your enterprise. Full UWP Capabilities in Visual Studio Control Center. Run tests on the Test Cloud. Automate publishing right into the Windows Store. Last week announced Windows 10 S where your apps take center stage. The only OS where you can run Linux and Windows applications. Pair phone with the Windows PC to easily deploy a project to an iOS device with full debugging capabilities in Visual Studio to build rich iOS apps on your Windows PC. Narrator available on every Windows PC for visually impaired to hear your app. Enable developer-mode to navigate your application. Each of these investment are individually valuable but putting them together can be best seen with mixed reality. This incredible opportunity is in front of us today. Alex Kipman start with how much he loves Build, his favorite conference. Last year Microsoft started shipping HoloLens in US at Build. Since then developers have started creating amazing holographic experiences, formed awesome community and inspired with their creativity. The HoloLens has opened up a whole new entire world that you can do. The future is now. HoloLens available now in 9 countries, China at the end of this month. Virtual reality vs. augmented reality. Where should developers place their bets? We should be thinking about AND instead of OR. Windows Mixed Reality, a single universal platform that expands VS and AR. Windows 10 is the only OS that provides this much opportunity. The only OS created from ground up for mixed reality. The world becomes your canvas. This future is already here! The sensors are in the headset. With touchpad, thumb stick and more. The controllers will only work with occluded headsets, not with HoloLens. Forget virtual or augmented reality. They are already mixing on a platform that is efficient that pushes ourselves and our business. Imagine the transformative power of the applications created by you. Imagine the opportunity to digitally capture people, objects and places. Mixed reality is growing and it is here today. Starting today, you can pre-order the Acer and HP Windows Mixed Reality Kits. We have made incredible progress together in the last year and you are invited to build the future together with Microsoft. Windows Insiders, download the Fall Update and help iterate and shape it. Mixed reality is the future and the future will be built by Windows developers.